Detailed breed information & photos about the Barnevelder chicken. Includes APA Standards,origin, purpose, history, color, comb, shank color, broodiness, egg size, color and production information plus photos and video. Origin: The Barnevelder chicken breed was developed from a vintage local variety which was discovered in the 12th century. First seen in Barnevelder, Holland during the late 19th century. Eggs: Dark reddish brown/matte finish or light brown. Egg Production: Approx. 180 eggs per year (can lay anywhere from 175-200 eggs per year). 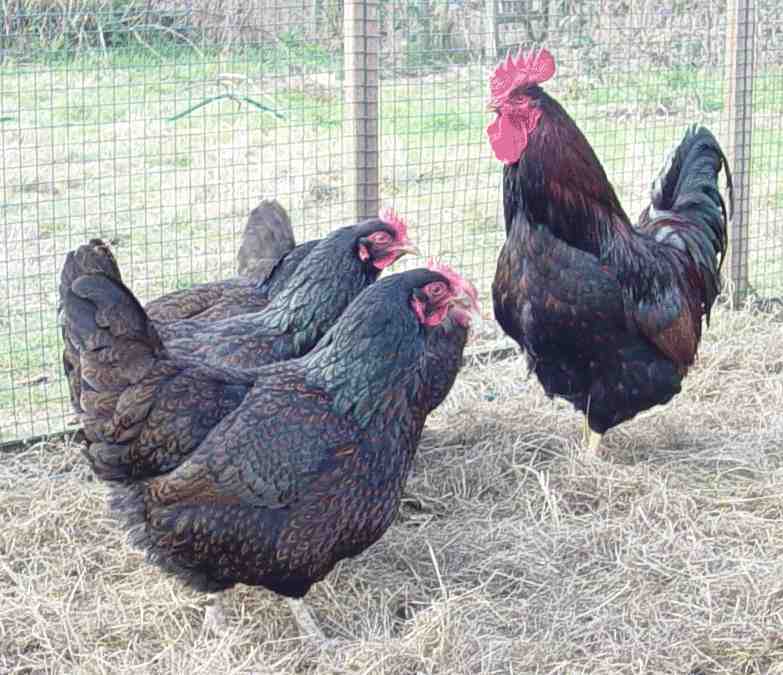 ​Barnevelder hens lay well even during cold months. The Barnevelder chicken named after the town of Barnevelder in Gelderland located in the central Netherlands, is said to have been the result of cross breeding between local Dutch domestic chickens with Shanghai birds which had been imported to Europe from Asia in the late nineteenth century. The Shanghai chickens were cross breed among themselves and developed into breeds now known as Brahma, Cochin or Croad Langshan. It is possible that the birds may have also been cross bred with Indian Game Stock and the Amerikaanse Nuthoenders (American utility birds) and in 1906 it is likely there was cross breeding with British Buff Orpington stock but according to Hans Schippers the Langshan chicken was the greatest influence on the Barnevelder chicken breed by contributing to the hardiness, brown eggs, and good egg layer production even during the winter. Barnevelder chickens were first exported to the United Kingdom due to a high demand for brown eggs in 1921. First Showing: Barnevelder chickens were first shown at the Landbouwtentoonstelling Agricultural Exhibition 1911 held in The Hague. If you want to show your Barnevelder chickens at poultry shows you will need to make sure your birds meets the APA Standards for weight, shape, color, weight etc.